Designed for discerning Silent enthusiasts GELID Silent TC fans provide additional airflow by changing the fan speed according to your actual temperature needs, giving you no more noise than absolutely necessary and maximum cooling when needed. An intelligent IC embedded in the fan's PCB allows smart variable fan speeds. Each fan impeller has been individually balanced using the latest technology to guarantee stable operation. 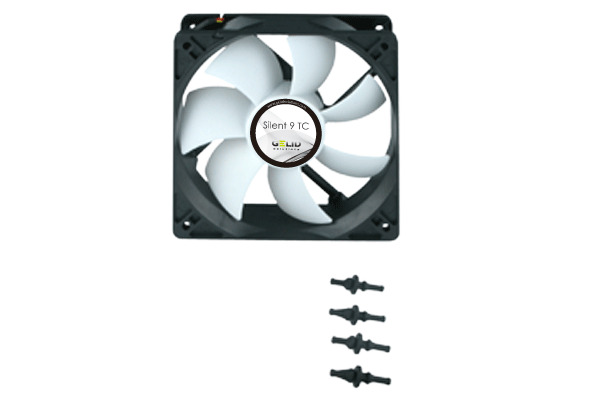 To add to the silence fan mounts replace traditional screws and are made of high quality, temperature resistant, extra long lasting rubber and stop vibrations from the fan motor from traveling into your PC case.